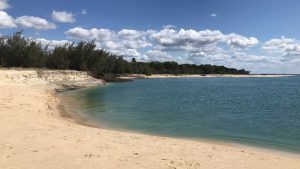 Queensland Parks and Wildlife Service rangers are monitoring erosion which has occurred overnight (Sunday 23 – Monday 24 September 2018) at Inskip Point. The nearshore landslip, located south of the roundabout on Inskip Road, was first brought to the attention of rangers this morning and was immediately assessed. It is approximately 200-300 metres and currently reaches up to the tree line. At this stage, no members of the public have been injured or have had property affected by the event. The erosion has not affected any campsites and is not affecting access to the barge to Fraser Island. In the interest of public safety, Queensland Parks and Wildlife Service will continue to closely monitor the site. Local rangers ask that visitors to Inskip Peninsula Recreation Area take note of current park alerts and stay clear of this section of beach. It’s likely this erosion has been caused by the undermining of part of the shoreline by tidal flow, waves and currents. When this occurs below the waterline, the shoreline loses support and a section slides seaward leaving a hole, the edges of which retrogress back towards the shore. In technical terms, such an event is better called a “nearshore landslip” than a “sinkhole”. 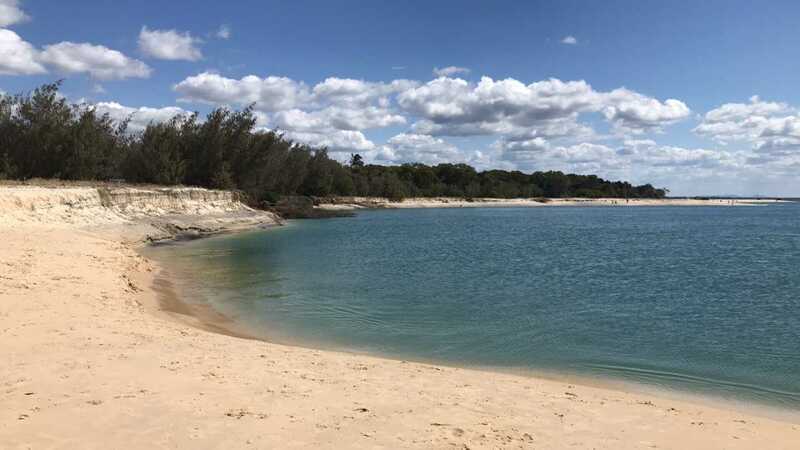 For Inskip Peninsula Recreation Area park alerts, please visit: https://www.npsr.qld.gov.au/parks/inskip-peninsula/camping.html.